Just want some pricing information? Call us at (970) 931-2741 for quick and easy price quotes. Climb aboard Gateway Canyons Air Tours A-Star 350 B3 helicopter and take a 30 minute scenic air tour over the majestic canyon country between Grand Junction and Canyon Lands Airport. 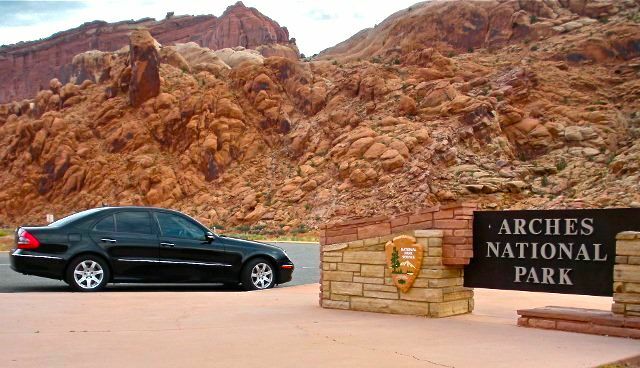 Then embark on a comprehensive VIP ground tour through Arches National Park with Utah Luxury Tours, complete with barbecue cowboy lunch and refreshments. Call for pricing. Call to customize this tour to your groups needs. This tour is also offered from Gateway Colorado. To book this tour call us at: (970) 931-2741.